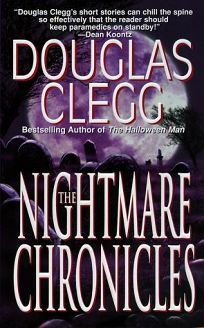 Clegg's (The Halloween Man, etc.) collection of 13 tales takes risks and is full of passions that sometimes burst forth violently. But his skill at elucidating the psychological lives of his characters in precise, revealing prose makes these emotions more disturbing than the violence itself. In the best selection, ""The Rendering Man,"" a girl's lifelong obsession with the creepy local who turns dead animals into consumer goods discloses her own festering psychopathology. Subtle seeding of the tale with images of death and transfiguration gives its climax a haunting and visceral inevitability. The narrative device into which the stories are plugged--each is presented as a nightmare inflicted by a monstrous boy upon his kidnappers--is flimsy but succeeds in calling attention to several recurring themes: the predatory nature of human sexuality (""Chosen""; ""The Night Before Alec Got Married"") and ""the secret rituals that all families have that would seem insane to outsiders"" (""Damned If You Do""; ""The Hurting Season""). Clegg's use of innovative metaphors catapults each story beyond a landscape crowded with the horror genre's usual monsters and madmen into a territory he alone can claim. (Sept.) FYI: Clegg is the author of Naomi, the much-touted e-novel in progress.